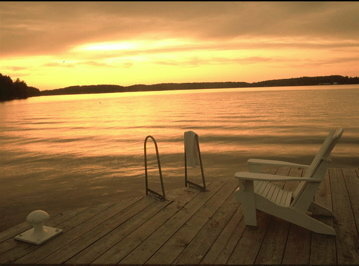 Share the post "Discover Eastern Ontario"
Take the opportunity to explore somewhere new this summer. There is so much more to Ontario than the big cities. Eastern Ontario is perfect for both nature lovers and adventure seekers. It is chock-full of beauty, culture, excitement, culinary experiences and history. Check out some of the suggestions below and plan your own adventure this summer! Stormont, Dundas and Glengarry may not be on the tip of your tongue but they should be! They have gorgeous parks & beaches, waterfront trails, and even Prehistoric World, a park with dozens of life-sized dinosaur reproductions. The region is brimming with history as there were both English and French pioneers as early as the late 1700s. Visit its many museums as well as the Lost Villages, the Historic SDG Jail (!833) & Upper Canada Village. North Dundas is “Ontario’s Dairy Capital” and is a haven for cheese lovers. Glengarry has a strong Celtic tradition; celebrate Highland Games, the largest highland games celebration outside of Scotland. Don’t miss the Williamstown Fair either; it is the oldest fair in Canada. This region is HOT right now. With beautiful scenery, outstanding boutique hotels, and incredible farm to table food, it is a great destination. When you add on the fact that it is home to more than 35 winemakers and is Ontario’s fastest growing wine region, you understand why it has become so popular. Once you are there, don’t miss the world’s largest freshwater sand dunes at Sandbanks Provincial Park, the Regent Theatre, a restored Edwardian opera house, the Picton Fair and Picton Art & Craft Sale. 1000 Islands & Seaway Cruises) and Helicopter (1000 Islands Helicopter Tours), you won’t miss a thing! The city of Belleville is an awesome destination, particularly for outdoor nice weather activities. With lots of waterfront trails, golf courses, shipping and entertainment, you can be active and busy from morning til night! Stop in at the Shorelines Slots at Belleville to try your luck! Or take the kids to Promise Land Family Farm and let them interact with animals in an open concept space. Adjacent to the Bay of Quinte, Belleville also has outstanding fishing and ice fishing for happy anglers, year round! The Bay also is one of Canada’s top sailing destinations as well as awesome for boating, kayaking and windsurfing. Make sure you check the calendar for festivals before you come. The Belleville Waterfront And Multicultural Festival is in July and Quinte West, just 10km away, also has lots of festivals and events year round. Eastern Ontario is fun, exciting and full of interesting things to see and do. Let us know if we’ve missed your favourite activity or place.